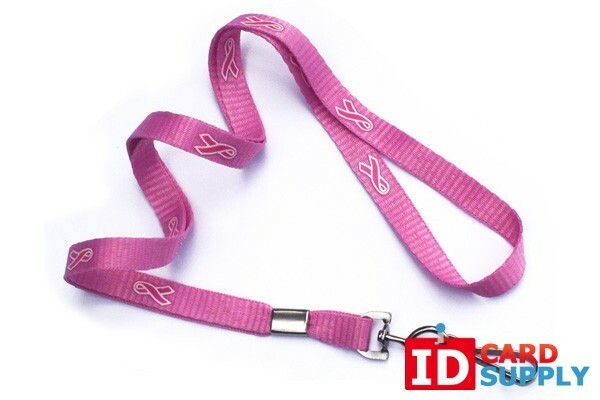 Pink Breast Cancer Awareness Lanyard | Bulk Discounts Apply from IDCardSupply! Show your support for cancer research with our Pink 3/8" Breast Cancer Awareness Lanyards. These are popular with many medical offices. Non-profit organizations will enjoy using these lanyards because they help raise awareness about a devastating condition that has an impact on millions of people every year. The sturdy 3/8" size is a great choice for many because it is comfortable and highly visible. Sturdy nylon construction means these lanyards are built to last. A portion of your purchase goes towards breast cancer research.